The Basketball Ireland Annual Awards have been revealed for the 2014/2015 season. Over 30 awards are set to be handed out at the organisation's AGM on Saturday June 6th, honouring excellence across all levels of the sport over the past 12 months. Cork teams dominated the prizes at Premier League level. Colin O’Reilly was honoured with the Player and Coach of the Year awards for his role in guiding C&S UCC Demons to a historic treble in National Competitions and an unbeaten 24-0 record. Niamh Dwyer picked up the Women’s Premier League Player of the Year award while her Team Montenotte Hotel Coach Mark Scannell won the Coach of the Year award for guiding the Glanmire outfit to a League and Cup double. Edel Thornton picked up the Women’s Premier League Young Player of the Year award for the second time in three years while Killester point guard Ciaran Roe was chosen as the Men’s Premier League’s Young Player of the Year. Elsewhere in the National League Salva Camps was chosen as Men’s Division One Coach of the Year for a season in which SSE Airtricity Moycullen reached the Presidents’ Cup final and secured the league title in the last game of the season. Team Left Bank Kilkenny’s Lawrence ‘Puff’ Summers was the popular choice as Player of the Year while Kenneth Hansberry picked up his third ‘Young Player of the Year’ in just four years. Jennifer Morabito is the Women’s Division One Player of the Year. 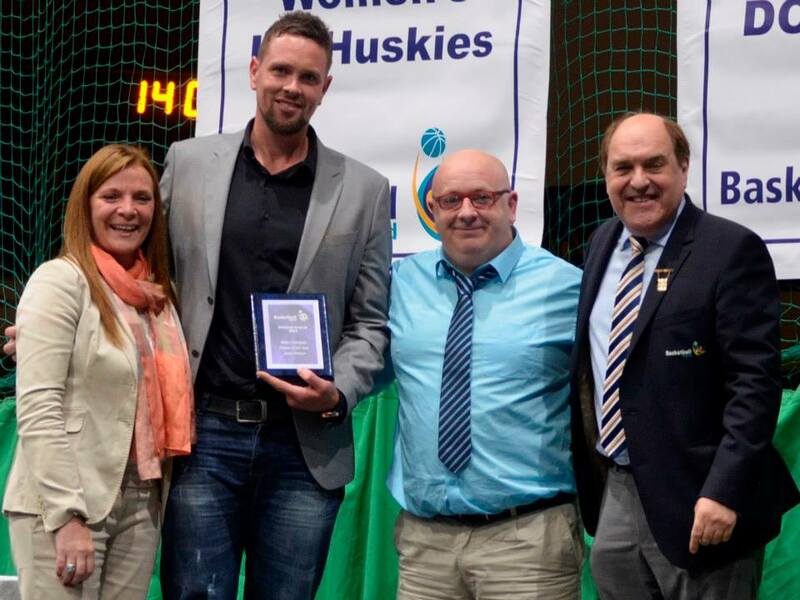 Her Oblate Dynamos side beat Portlaoise Panthers in the Women’s Division One Final but Panther’s Coach Peter O’Sullivan retained his Coach of the Year as the Midlanders won two out of the three trophies they fought for.